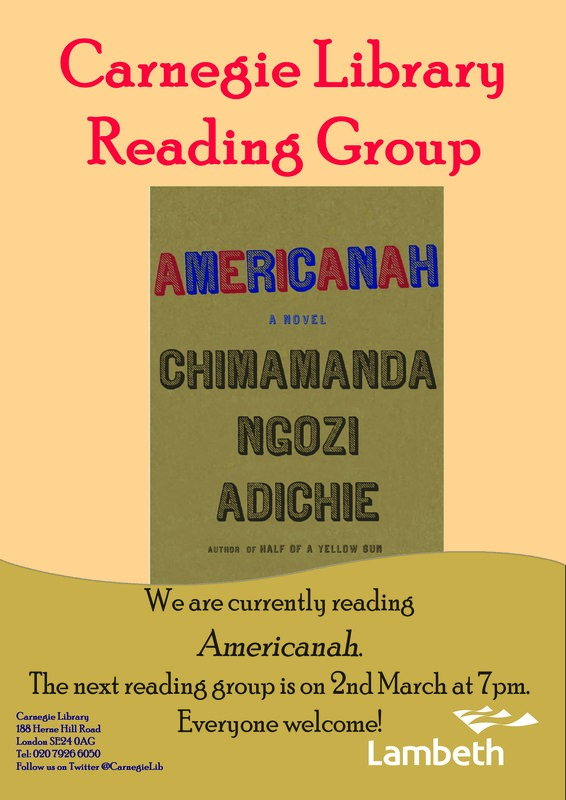 This month the Carnegie Library Reading Group is reading Americanah by Chimamanda Ngozi Adichie. It tells the story of a young Nigerian woman who emigrates to the United States for a university education and stays for work. 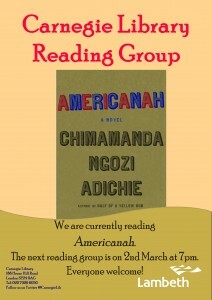 If you would a copy of this book please ask at the enquiry desk and join us on Monday 2nd March at 7pm.